Room to roam with over 1600 sq ft of living space in this freshly painted Quad-Level home in Waterford located in the well known Maceday Woods neighborhood. New roof & gutters just installed in 2019! Nice size fenced lot complete with deck and playset for the kids! Bring the outdoors in while you relax in the newer 3 season oversized 12x18 Temo sunroom with Pergo floor overlooking the yard! 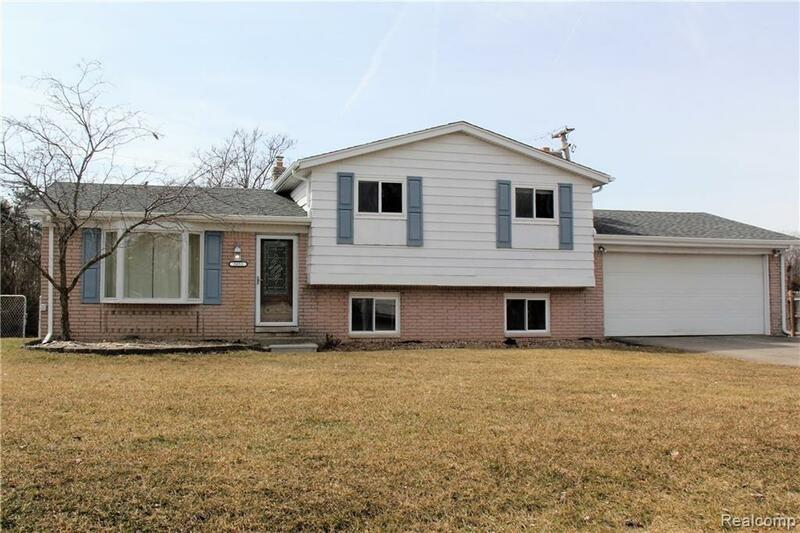 Home features spacious eat-in kitchen, new kitchen cabinet hardware, hardwood & ceramic floors, newer windows throughout, knotty pine family room with fireplace and 2 full baths. Basement has spacious laundry area and plenty of extra storage room or finish for additional living space! Ride your bike or take a short walk to the public access at Maceday Lake or Pontiac Lake Recreation Area! Make it home!